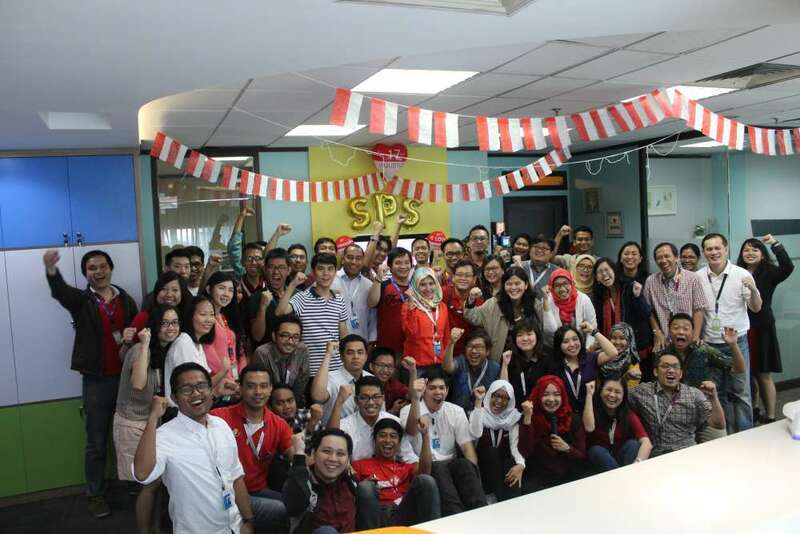 Jakarta, August 19, 2016 - Commemorate the independence day 71st of the Republic Indonesia, PT Strategic Partner Solution hold employees gathering. Starting with sing Indonesia Raya all employees full sang solemnly. Followed by a speech by the President Director of PT SPS, Mr. Aswan to encourage all employees to work substantially in accordance with government tagline. To enliven the event as well as the recall of national songs, held game by singing a song that has been selected at random. Then followed with the makan kerupuk competition, which makes more festive and fun and then the winner get a prize. Hopefully, togetherness and independence anniversary, PT SPS increasingly prosperous.